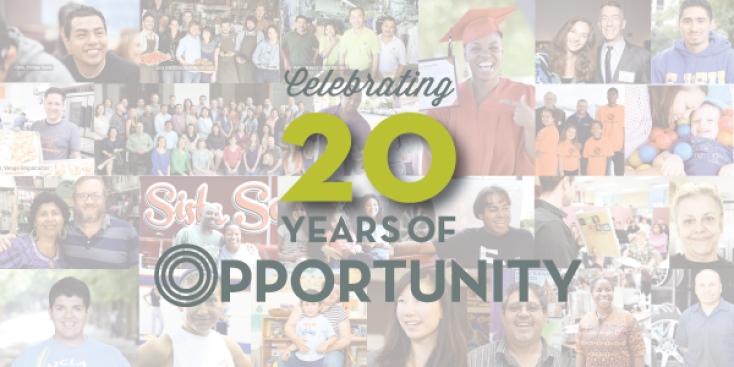 Opportunity Fund is celebrating 20 years of helping people achieve their dreams with their 20 Years of Opportunity Microfinance Reception and Celebration Dinner on October 18. Opportunity Fund is dedicated to providing financial assistance to entrepreneurs, families, and current and prospective college students. As an independent, nonprofit organization, they are the premiere microlending and microsavings champion in the nation, and among the fastest growing. This event will help to raise funds for Opportunity Fund that will support future and current entrepreneurs and students. During the evening, you will get to “taste” the impact and benefits of microfinance as some of Opportunity Funded gourmet food trucks are going to be showcasing their many flavors and talents. Guests will also enjoy a three-course dinner prepared by acclaimed local chef Rebecca Alonzi of Rebecca Jean Catering, who is an Opportunity Fund client. There will be dancing and desserts to end the night.